Honeywell might be one of the most standard and default (yet legacy) choices when it comes to access control. Local installers and locksmiths might typically use Honeywell if a client doesn't ask for a specific brand. Since the products have been in the market in many cases more than over 10 years, they are greatly reliable although technologically a little behind on what is possible with modern cloud, IoT or mobile solutions such as Kisi. As a business grade access control system, Honeywell offers the most typical functions including: Monitor alarms and events real-time, Special response messages per account/per alarm or event, Lock/unlock doors, Add/remove holidays, 99 priority levels of alarms/events, Control and respond, including acknowledge, clear, annotate, live video and recorded video, manual override, lock and unlock doors, shunt/bypass zones and input points, live floor plan views - card frequency with disposition option, card where valid, who has access to this door, card audit trails and more. As many other access control manufacturers on this list, Honeywell is active in the most common physical security markets including Airports, Banking, Campus / University, Commercial Office, Finance, Gaming, Government, Health Care, House of Worship and Industrial. Honeywell is a global provider of security products which gives it a leg up when it comes to access control. 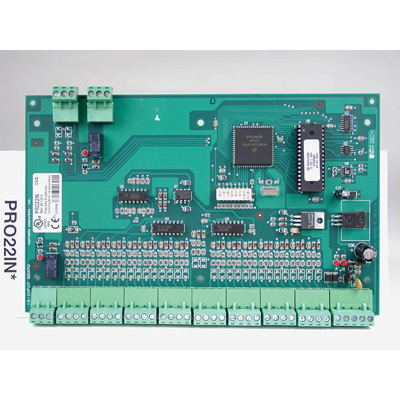 The panel based system and generic door controllers make it compatible with scores of security products and accessories on the market. This makes the system versatile in the office environment, but decreases system security due to the piecemeal approach. Door panels are installed locally and require Honeywell’s WIN-PAK access control system to manage credentials and generate reports. Honeywell offers readers that can authenticate keypad credentials, barcodes, key cards, and biometric fingerprints. Like all panel based systems, the readers must be wired back to the panel to function. 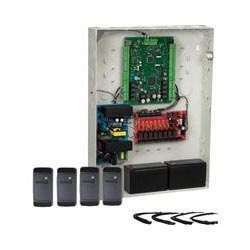 Honeywell access control panels can control up to 32 doors in the facility. Because of Honeywell’s expansive. security offering, the system pairs nicely with alarms, fire safety, video surveillance systems, and much more. The system is flexible and scalable, and comes from a trusted name in the industry. The downfall lies in the fact that support for the product is non-existent and relies on local vendors knowledge and experience. Additionally, Honeywell does not offer a mobile app for unlocking doors through mobile credentials. If you are looking for an alternative to Honeywell, see how Kisi works here.